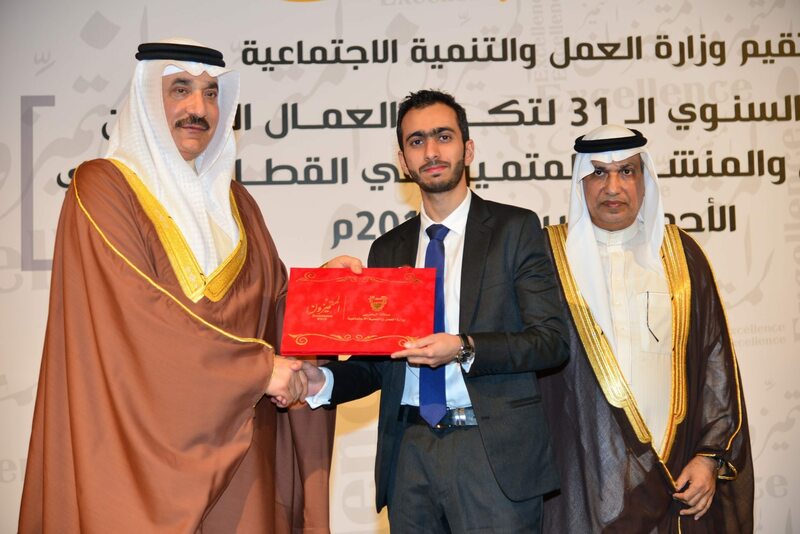 Zain Bahrain, the most innovative telecom operator in the Kingdom, extends its gratitude towards the Ministry of Labour for honouring one of their key employees at the Ministry of Labour Annual Awards held under the patronage of Labour and Social Development Minister, Jameel bin Mohammed Ali Humaidan. This year, Mohammed Yousif, Expert, Regulatory & Interconnection at Zain Bahrain received the ‘Diligent Employee’ Award for the year 2015 in recognition for his outstanding efforts and outstanding performance. “On behalf of Zain Bahrain, we would like to congratulate Mohammed on this well-deserved achievement as he has always shown a high level of commitment towards the organisation,” said Mr. Zainalabedin. “Mohammed Yousif contributed to his personal success and overall progress of the company. He started in Zain Bahrain’s Call Center and moved his way up to the Regulatory and Interconnection department, due to this hard work and dedication.” he added. “Our corporate philosophy is to provide world-class training and development programs, as well as tailor-made initiatives to foster a corporate culture of empowerment, trust and innovation,” he added. “I would also like to extend my sincere thanks to the Ministry of Labour for their continued efforts in developing human resources in accordance to the strategy pursued by the wise leadership for the Economic Vision 2030. As well as the initiative developed to recognize the private sector’s effort in contributing to the overall progress and success of the Kingdom.” concluded Mr. Mohammed Zainalabedin.